We would all gladly chip in a few bucks if our neighbor’s life depended on it. Over the past three years, our own lives and our neighbors’ lives have depended on the range of services and news provided by MPNforum. And with your support, physicians, patients and caregivers together have helped our MPN neighbors find hematologists to work with, sort through therapeutic options, challenge conventional wisdom and explore scientific discoveries. This is the start of the April MPNforum Small Donation Program. We don’t need much. With very low operating costs and no paid staff our financial needs are small…but real. A ream of paper now costs $7. Our copy paper costs are over $150 a year. No big deal on its own… but we don’t bill readers for typing paper. Beyond basic operating and production costs, the kind of investigative journalism and advocacy MPNforum does requires travel and incurs expense. And we have no other source of revenue than each other. No grants, no corporate sponsorship, no advertising. Promoting a Patient Advocate for every MPN clinical trial – something clearly necessary after the Sanofi blowup and secrecy surrounding Imetelstat’s current clinical trial hold – means travel, lodging, negotiation with the FDA, drug manufacturers, institutions, investigators. Helping to bringing interferon out of its off-label status in the US means publishing the Open Letter and Comment of Dr. Hans Hasselbalch and Dr. Richard Silver. It also means distributing a press release to hundreds of media outlets. And a bill for $269. The Fatigue Project we launched in October 2012 has, thanks to Dr. Ruben Mesa and his Mayo Clinic (Scottsdale) team reached its final data acquisition stage before clinical trial design. Meetings, conferences, reports, surveys, progress reporting from ASH kept all of us in the loop every step of the way. The bill is paid through Small Donations. With over 280,000 visitors to our pages, raising the $3500 to meet our Spring goal should be a slam dunk. It’s not. Only a few dozen readers carry the ball for the rest of us. 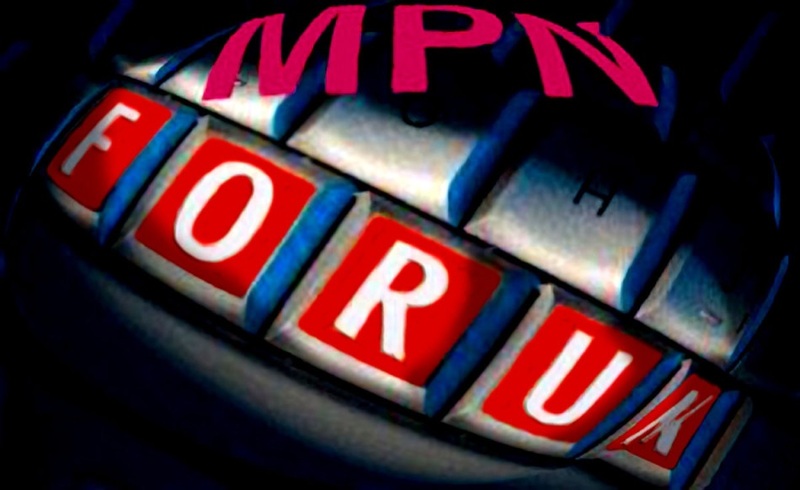 If MPNforum is part of your MPN life, please do your part. It’s easy. One reader makes a $5 monthly contribution, about the cost of a Starbucks coffee…but at $60/year that’s a generous donation. PayPal accepts every credit card. Push the button, donate a few bucks and you’ve made your contribution to bringing high level scientific and news reporting to your friends in the MPN community and voiced your support for not-for-profit patient advocacy. No tax deduction…but a dynamite return on your money. It only happens after you step up. Thank you… just click on the button to get started. Just donated…only wish it could be $1 million! Joe and I donated $50. What did you donate?